As a kid born in the early 1980s, I have a handful of titles that were my first experience with video games. Prince of Persia was one of them, which I played in 1990 on my first computer in the glorious black-and-yellow color scheme of the Hercules graphic card. While I didn’t grow up into someone who is a big platformer player, this title still holds a special place in my gaming heart - who could forget those mesmerizing animations of the Prince (not the artist formelly known as Prince - Prince) jumping and landing? Today, like Ape Escape and many other platformers, it is one of those true video game classic titles. Now, there’s a new release called Prince of Persia : Escape and it looks like a must for all fans of both the series and this genre of games, at least when it comes to trying it out. However, there are some important differences to keep them in mind if you dig the original. 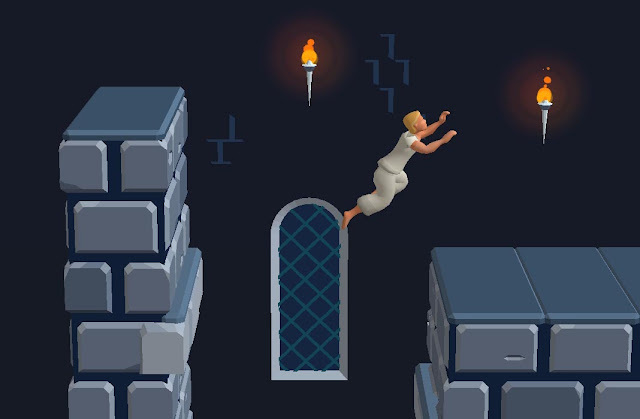 The Prince of Persia : Escape app is played in portrait mode, featuring an isometric 3D environment. The graphics look awesome and include all of the things you know and love, but at the same time, this is a single-tap game. This means that your character moves using auto-run and you time your jumps and all the rest using the tap command. While it would make complete sense for the makers of the game, which is the Ketchapp studio, to place the game in landscape and use dual thumb control they clear opted for a more casual approach to the release. It’s also a lot about its F2P setup, so you can expect to gem collecting, customization and in-game purchases. Also, the game is free to download but includes an advertisement which you can get rid of using a one-time payment. Finally, the biggest letdown for the end - the game doesn’t include enemies and the famous sword fights. If all of this sounds like a good deal to you, check out the game here!